Pretty darn good eating week this week actually, apart from an epic quail fail. After a heavy week of eating in Italy, soup, just simple ol' soup, was very much needed on our return. I really love this "blackened" fish recipe that has become a house staple. 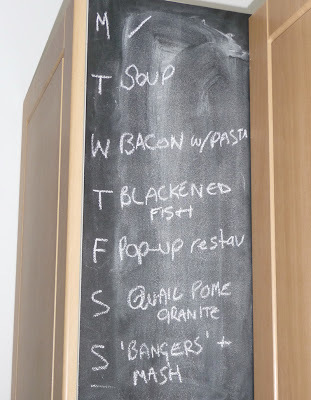 It was actually the recipe that helped me to start eating fish, I used to hate it before - crazy! 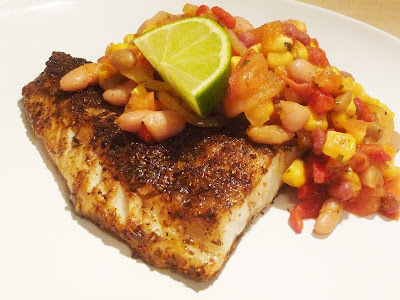 Perfect with a hot sweetcorn salsa. I'll pop the recipe up at some point. 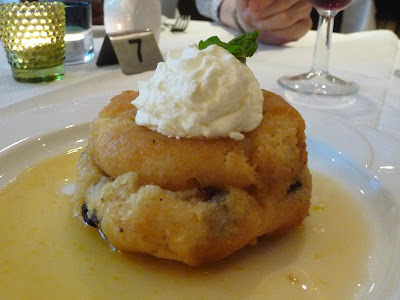 Friday we went to Residence pop-up restaurant and had a fantastic meal. Read my write up here. This was the rather impressive looking baba I had for dessert. Suffering a bit of a hangover after the drinking session post-Residence (WHY do I do it to myself?) 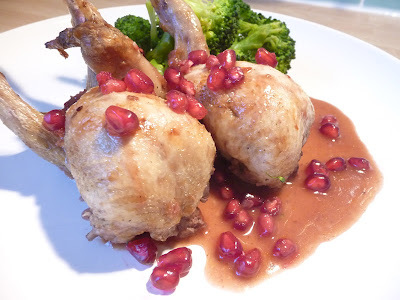 I decided to go and cook quail with pomegranate from the fantastic Eagle cookbook. Unfortunately this was the first duff recipe from my much-loved copy (or it could have been my hangover or the quality of the quail). I really didn't enjoy it and was really miffed about spending the time in the kitchen making it when I could have been feeling sorry for myself on the sofa! 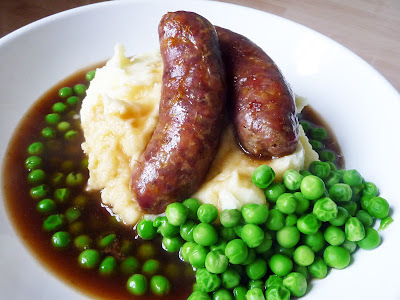 The fantastic sausages I brought back from Italy were served up British-style on Sunday, to finish on a high note. Quail-schmail.